On Saturday, the College hosted a conference, “Democracy and Freedom Between Past and Future,” that explored the meanings of the terms “democracy” and “freedom” within the contexts of slavery, gender, class and power. The United States Department of Justice (DOJ) charged 50 parents, athletic coaches and college exam administrators yesterday in a nationwide fraud scheme that assisted students in gaining admission to elite universities. The College and its employees have not been publicly implicated in these criminal proceedings, which, according to The New York Times, constitute the DOJ’s largest-ever college admission prosecution. COURTESY OF KEITH FOREMAN In The Last Days of Judas Iscariot, witnesses ranging from Sigmund Freud to Pontius Pilate are called to testify on whether Judas Iscariot should go to heaven. Last weekend’s theatre department performance of The Last Days of Judas Iscariot, by Stephen Guirgis, was notable not only for its star cast, intelligent humor and philosophical weight, but more so for its unique inclusion of student input in the creative process. The show was led by director Shadi Ghaheri, visiting lecturer in theatre, and dramaturg Catherine María Rodríguez, both of whom emphasized the importance of actor participation in their process. The play, which imagines Judas Iscariot on trial in purgatory, was grounded by the exceptional Maya Jasinska ’21 as defense attorney Fabiana Aziza Cunningham, Samori Etienne ’21 as prosecuting attorney El-Fayoumy and Peter Matsumoto ’20.5 in the role of Judas himself. 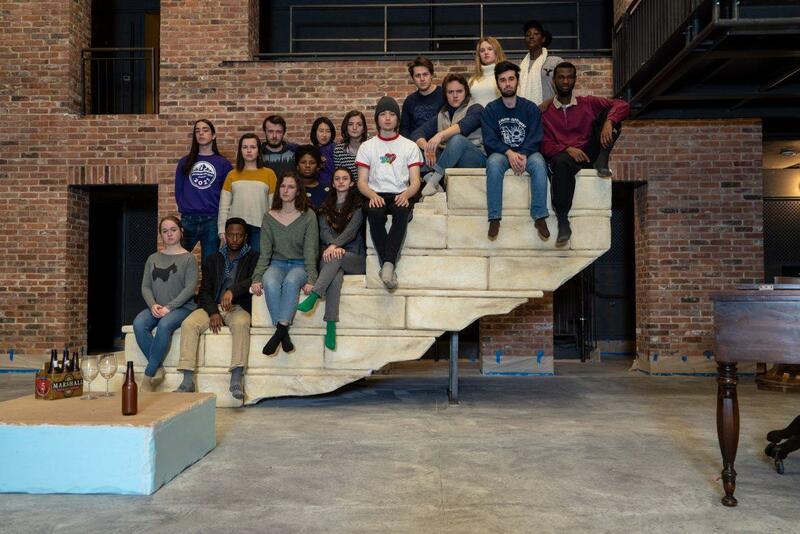 For many students, the inclusive rehearsal process had a strong impact on the quality and value of rehearsal time, offering a much-needed change in the wake of the theatre department’s cancellation of Beast Thing in the fall. The Williams Inn, the new Garfield dormitory and the Towne Field House near completion shortly as other construction projects remain underway around campus. Two staffing requests for tenure-track faculty in Asian American studies (AAS) were submitted on Friday, marking a key step toward the creation of an AAS program at the College. These requests, submitted by religion and American studies, come in the wake of a Curricular Planning Committee (CPC) working group report that strongly endorsed an AAS program and recommended that at least two tenure-track faculty be hired to teach primarily in AAS. “Popcorn..or is it,” as the classic saying goes. On Feb.
A decades-long push for an Asian American studies (AAS) program made significant inroads on Thursday, when a working group formed by the Curricular Planning Committee (CPC) announced its recommendation that at least two new faculty be hired for the expansion of AAS at the College, concluding that “a program cannot be formed with current faculty resources.” In its report, the working group, composed of both students and faculty, announced strong support for an AAS program, laying out arguments for its merits and a framework for its implementation at the College. The working group, which was assembled in October 2018 and has been meeting weekly since, was charged by the CPC with “respond[ing] to questions about future possibilities for Asian American studies: curricular development, structures for a possible program, staffing implications, and so on,” according to the report. Mandel created the Ad Hoc Committee on Inquiry and Inclusion with the charge of recommending, by this May, a set of guidelines for future speaker invitations. On Oct. 29, several members of the faculty sent out a petition calling for the College to adopt the Chicago Statement on Principles of Free Expression, originally released by the University of Chicago in July 2012. 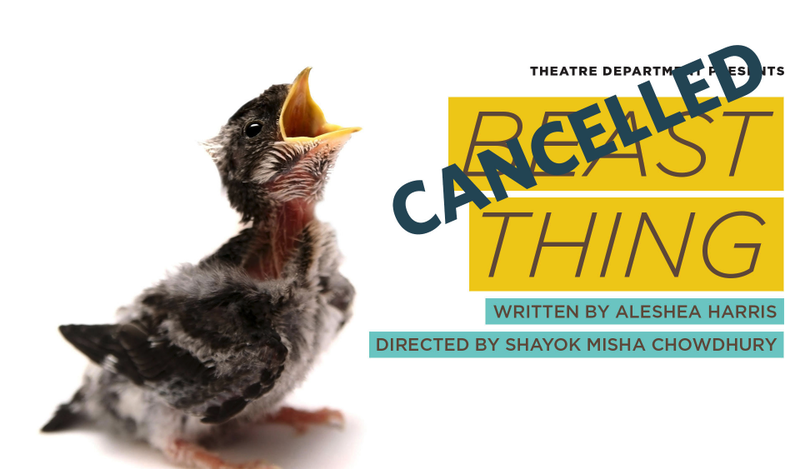 On Thursday, the theatre department announced the cancellation of its production of the play Beast Thing. The show, written by Aleshea Harris and described by the department as a “play-in-progress,” contained controversial and potentially traumatizing content and was directed in a manner that consistently left many participants feeling uncomfortable, leading to its cancellation.